Holly's Hurricane: out November 1! 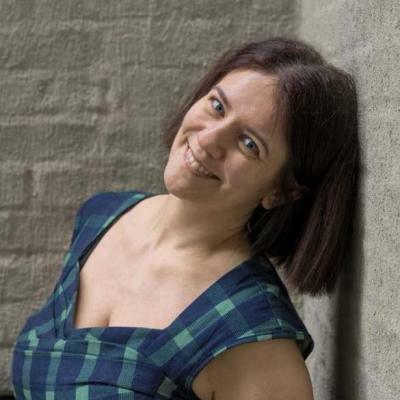 MARIE CARTER is a Scottish writer, editor, writing teacher, and tour guide, based in Astoria, NY. Her first book, The Trapeze Diaries , based on her experiences of learning trapeze, was published by Hanging Loose Press. Her novel Holly's Hurricane was published on November 1, 2018, which is a Finalist for the 2019 Montaigne Medal . Marie has been a guest on NPR , BBC Radio Lincolnshire , and has been written about or featured in The New York Times , Queens Gazette , Huffington Post , QNS , and many other media outlets. She also appeared on PIX11 in October 2018. Her work has been published in NINETEENTH CENTURY , Hanging Loose , The Brooklyn Rail , Spectacle , Turntablebluelight , and Yogacitynyc, among others and in the anthologies The Best Creative Nonfiction (W. W. Norton, 2007) and Voices of Multiple Sclerosis (LaChance, 2009). She has also been awarded and attended a residency at the MacDowell Colony. Marie currently teaches Memoir and Creative Writing at Gotham Writers' Workshop . Fascinated by New York City's macabre and little-known histories in her writing and life, she decided to further her interest by becoming a licensed tour guide, as well as a researcher and tour developer, with Boroughs of the Dead . She created and guides the "Haunting Histories and Legends of Astoria" tour and also leads other tours in Greenwich Village, Lower Manhattan, Brooklyn Heights, and Roosevelt Island. She also lectures on various aspects of New York City's history on a regular basis at Q.E.D. in Astoria, Queens. Marie has provided editorial and layout and design services to Hanging Loose Press , one of the oldest independent publishers in the United States. She is the editor of the anthologies Word Jig: New Fiction from Scotland and co-editor of Voices of the City . Marie graduated from Edinburgh University with an MA in English Literature.